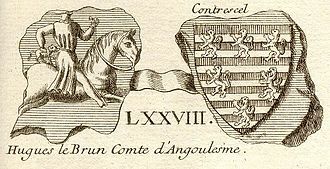 Isabella of Angouleme – History… the interesting bits! Joan of England was the oldest of daughter of King John and his 2nd wife, Isabella of Angoulême. Born 10th July 1210 she was the 3rd of 5 children; she had 2 older brothers and 2 younger sisters would join the family by 1215. Even before her birth, she was mooted as a possible bride for Alexander of Scotland, son of King William I of Scotland. A verbal agreement between the 2 kings in 1209 provided for John to arrange the marriages of William’s 2 daughters, with 1 marrying a son of John’s, and Alexander marrying one of John’s daughters. Following the death of William I a further treaty in 1212 agreed to the marriage of 14-year-old Alexander II to 2 year-old Joan. However, the agreement seems to have been made as a way of preventing Alexander from looking to the continent – and especially France – for a potential bride, and by extension allies. It did not stop John from looking further afield, nevertheless, for a more favourable marriage alliance. 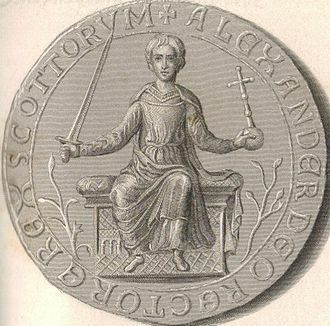 Nor did it stop Alexander from siding with the Barons against King John; Alexander was one of the Magna Carta signatories. John refused a proposal from King Philip II of France, for his son John, and settled in 1214 for a marriage with his old enemies the de Lusignan’s. In 1214 Joan was betrothed to Hugh X de Lusignan. Hugh was the son of John’s rival for the hand of Isabella in 1200; Isabella’s engagement to Hugh IX was broken off in order for her to marry John. Following the betrothal Hugh, Lord of Lusignan and Count of La Marche, was given custody of Joan and of Saintes, Saintonge and the Isle of Oléron as pledges for her dowry. Joan was just 4 years old when she travelled to the south of France to live with her future husband’s family. She was away from England at the height of the Baron’s War, and at her father’s death in October 1216. It’s possible she was reunited with her mother in 1217 when Isabella of Angoulême left England, abandoning her 4 other children, in order to govern her own lands in Angoulême. In 1220 in a scandalous about-face Hugh repudiated Joan and married her mother, his father’s former betrothed. And poor 9-year-old Joan’s erstwhile future husband was now her step-father! Instead of being sent back to England, as you would expect, Joan went from being Hugh’s betrothed – to being his prisoner. She was held hostage to ensure Hugh’s continued control of her dower lands, and to ensure the transfer of his new wife’s dower, while England was withholding Queen Isabella’s dower against the return of Joan’s dower lands. Negotiations to resolve the situation were ongoing. In the mean time, Henry III was already looking to arrange a new marriage for Joan. On 15th June 1220, in York, a conference between Alexander II and Henry III saw the Scots king agree to marry Joan, with a provision that he would marry Joan’s younger sister, Isabella, if Joan was not returned to England in time. Negotiations for Joan’s return were long and difficult and not helped by the fact Hugh was threatening war in Poitou. Eventually, after Papal intervention, agreement was reached in October 1220 and Joan was surrendered to the English. The day before the wedding Alexander had assigned dower estates to Joan, worth an annual income of £1,000, including Jedburgh, Crail and Kinghorn. However, part of the dower was still held by Alexander’s mother, the dowager Queen Ermengarde, and Joan was not entitled to the income until after her mother-in-law’s death. This left Joan financially dependent on Alexander from the beginning. There is a suggestion that Joan was not enamoured with Scotland and its society. She was hampered by her youth, her domineering mother-in-law and, eventually, by the fact she failed to produce the desired heir. Her position was further hindered by tensions between her husband and brother from time to time. In this, though, she seems to have found her purpose. Joan regularly acted as intermediary between the 2 kings. Alexander often used Joan’s personal letters to her brother as a way of communicating with Henry, while bypassing the formality of official correspondence between kings. One such letter is a warning, possibly on behalf of Alexander’s constable, Alan of Galloway, of intelligence that Haakon IV of Norway was intending to aid Hugh de Lacy in Ireland. In the same letter she assured Henry that no one from Scotland would be going to Ireland to fight against Henry’s interests. Another letter, this time from Henry, was of a more personal nature, written in February 1235 it informed Joan of the marriage of their “beloved sister” Isabella to the holy Roman Emperor Frederick II, news at which he knew Joan “would greatly rejoice”. In December 1235 Alexander and Joan were summoned to London, possibly for the coronation of Henry’s new queen, Eleanor of Provence. This would have been a long and arduous journey for the Scots monarchs, especially in the deepest part of winter. 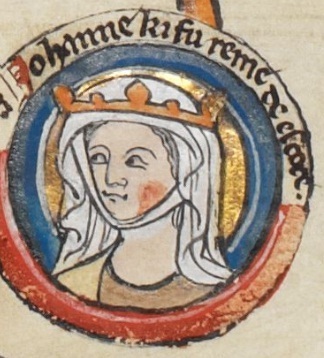 Henry’s use of Joan as an intermediary suggests she did have some influence over her husband, this theory is supported by the fact that Joan accompanied Alexander to negotiations with the English king, at Newcastle in September 1236 and again at York in September 1237. In 1234 Henry had granted Joan Fenstanton in Huntingdonshire and during the 1236 negotiations she was granted Driffield in Yorkshire, giving Joan an income independent of Scotland. Many have seen this as an indication that Joan was intending to spend more time in England, especially seeing as the chronicler Matthew Paris hints at an estrangement, although we cannot be certain. The 1236 and 1237 councils were attempts at resolving the ongoing claims of Alexander that King John had agreed to gift Northumberland to Alexander as part of the marriage contract between Alexander and Joan. Henry, of course, denied this. 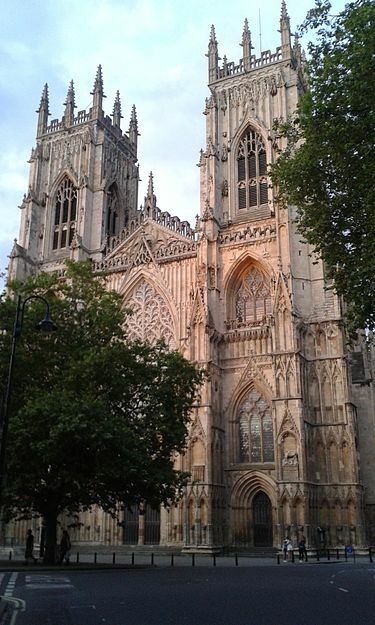 With the mediation of a papal legate, agreement was eventually reached in York at the 1237 council, with both queens present, when Alexander gave up the claim to Northumberland in return for lands in the northern counties with an annual income of £200. Following the 1237 council Joan and her sister-in-law Eleanor of Provence departed on pilgrimage to the shrine of Thomas Becket at Canterbury. Given that Joan was now 27 and Eleanor already married for 2 years, it is possible both women were praying for children, and an heir. Joan stayed in England for the rest of the year; much of the stay seems to have been informal and pleasurable. She spent Christmas at Henry’s court and was given new robes for herself, her clerks and servants, in addition to gifts of does and wine. Her widowed sister Eleanor, Countess of Pembroke, was present, along with the Countess of Chester and Joan’s cousin, the captive Eleanor of Brittany. In late January arrangements were being made for Joan’s return to Scotland, but she fell ill before she could travel north. Still only 27 years of age Joan died on 4th March 1238 at Havering-atte-Bower in Essex, her brothers, King Henry III and Richard, Earl of Cornwall, were at her side. According to Matthew Paris ‘her death was grievous, however she merited less mourning, because she refused to return [to Scotland] although often summoned back by her husband’. And even in death Joan elected to stay in England. her will requested that she be buried at the Cistercian nunnery of Tarrant in Dorset. The convent benefited greatly from Henry III’s almsgiving for the soul of his sister; in 1252, over 13 years after her death, the king ordered a marble effigy to be made for her tomb (which unfortunately has not survived). Alexander II married again just over a year after Joan’s death, to Marie de Coucy and their son, Alexander III, the longed-for heir, was born in 1241. Alexander II died of a fever in 1249. Sources: The Oxford Companion to British History Edited by John Cannon; The Plantagenets, the Kings who Made England by Dan Jones; History Today Companion to British History Edited by Juliet Gardiner and Neil Wenborn; Brewer’s British Royalty by David Williamson; Britain’s Royal Families, the Complete Genealogy by Alison Weir; The Plantagenet Chronicles Edited by Elizabeth Hallam; The Mammoth Book of British Kings and Queens by Mike Ashley; The Plantagenets, the Kings that made Britain by Derek Wilson; England Under the Norman and Angevin Kings by Robert Bartlett; http://www.britannica.com; oxforddnb.com; finerollshenry3.org.uk. Isabella de Warenne, Queen of Scotland? Whilst researching for my post on Ada de Warenne I discovered that 100 years later, a kinswoman of hers also, briefly, made an appearance on the stage of Scottish history. Isabella de Warenne was the daughter of John de Warenne, 6th Earl of Surrey, and Alice de Lusignan. Alice was the daughter of King John of England’s widow, Isabella of Angouleme, and Hugh X de Lusignan and half-sister to Henry III of England. Isabella was, therefore, Henry’s niece. Through her paternal grandmother, Maud Marshal, Isabella was also a great-granddaughter of the ‘Greatest Knight’ William Marshal, Earl of Pembroke and onetime Regent of England. Born around 1253 Isabella married John Balliol, Lord of Bywell, sometime before 7th February 1281. In the early 1290s, John was one of the 13 Competitors for the Scottish throne. He was the great-grandson of Ada de Warenne’s youngest son, David of Huntingdon, by David’s daughter, Margaret. With 13 claimants to the Scottish throne it was Edward I of England who was given the duty of selecting Scotland’s next king. Isabella’s close family links to the English crown may have helped Edward decide in John’s favour and he was installed as King of Scotland in November 1292. John and Isabella had at least 3, but possibly 4, children together. A daughter, Margaret, died unmarried. There is mention of another daughter, Anne; but there is doubt as to whether she ever existed. Their eldest son, Edward, was born around 1283. With English support, Edward made his own bid for the Scottish throne in the 1330s, and was crowned king following his defeat of David II at the Battle of Dupplin Moor in 1332. 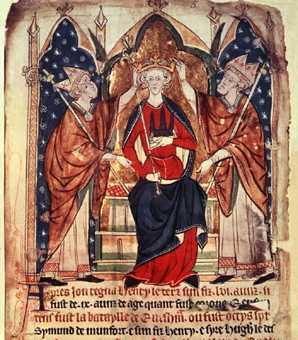 David and Edward struggled against each other, until David II’s eventual triumph – and Edward’s deposition – in 1336. Edward finally surrendered his claim to the Scottish throne in 1356 whilst living in English exile; he died in Wheatley, Doncaster, probably in 1363 or 1364. Although his final resting place has recently been claimed to be under Doncaster Post Office, the former site of Doncaster Priory, it remains elusive. John and Isabella’s younger son, Henry, was killed on 16th December 1332 at the Battle of Annan, a resounding victory for supporters of David II against Henry’s brother, Edward. Although Edward was briefly married to Margaret of Taranto, the marriage was annulled. Neither Edward nor Henry had any children. Very little is known of John and Isabella’s life together. Her death date and final resting place are both unknown. It is by no means certain that Isabella was still alive when John became king. She was no longer living, however, when her own father defeated John and the Scottish army at the Battle of Dunbar in April 1296; John abdicated in July of the same year and died in French exile in 1314. Picture: John Balliol and Isabella de Warenne from britroyals.com. Further reading: britroyals.com; royal.gov.uk/HistoryoftheMonarchy/ScottishMonarchs; englishmonarchs.co.uk; Alison Weir, Britain’s Royal Families; David Williamson, Brewer’s British Royalty; Mike Ashley, The Mammoth Book of British Kings and Queens; Nigel Tranter, The Story of Scotland.